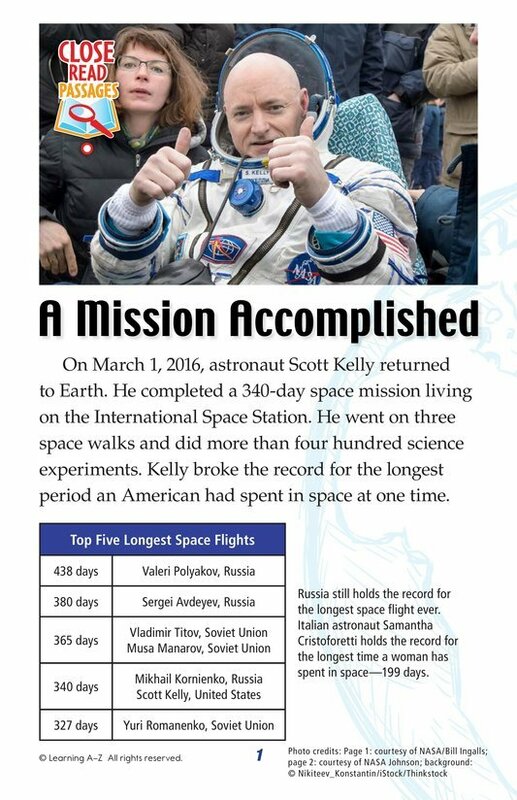 Astronaut Scott Kelly completed a 340-day space mission living on the International Space Station. Because there is so little gravity in space, he didn't walk for almost a year. 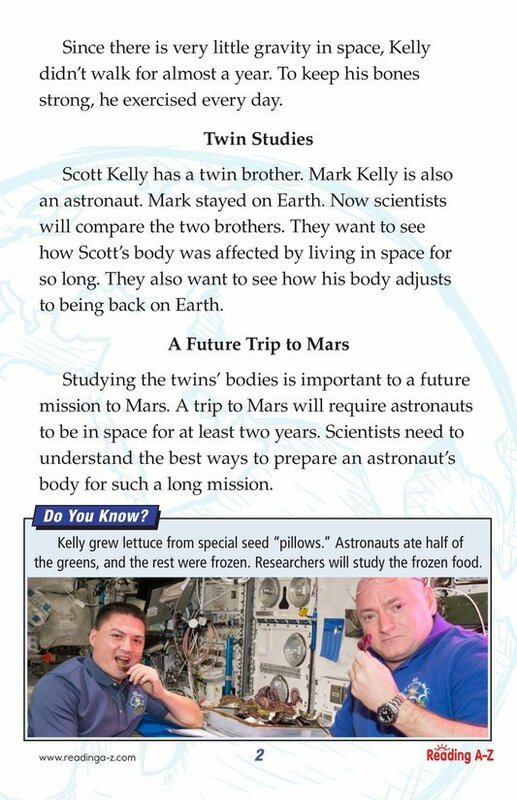 His twin brother Mark is also an astronaut, but he stayed on Earth. Now scientists will compare the twins' bodies. They'll see how Scott's body was affected by space and by his return to Earth. This study will help prepare astronauts for a future trip to Mars.